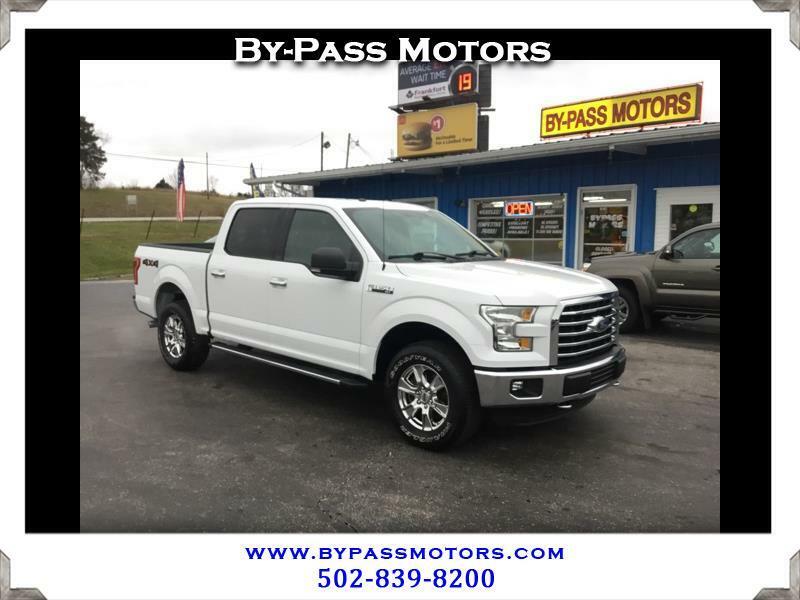 Used 2016 Ford F-150 XLT SuperCrew 5.5-ft. Bed 4WD for Sale in Lawrenceburg KY 40342 By-Pass Motors, Inc. This is a super clean F-150 that only has 19K miles!!! This truck is a One Owner truck that has a clean Carfax and comes to you with a full service to insure that it needs nothing. With only 19K miles this truck has remaining bumper to bumper factory warranty from Ford. This truck is nicely equipped with a huge panoramic sunroof and is powered by a 5.0L V8 engine!!! If you are wanting a really nice 4x4 truck that can handle whatever you want to throw its way then this is the one you need. We have been in business since 1989 with an A+ rating with the BBB!!! Come check us out today and I promise that when you leave you won't want to buy a vehicle anywhere else.